VP and Chief designer of Versace group Donatella Versace has undergone so many cosmetic surgeries, she's nearly unrecognizable. 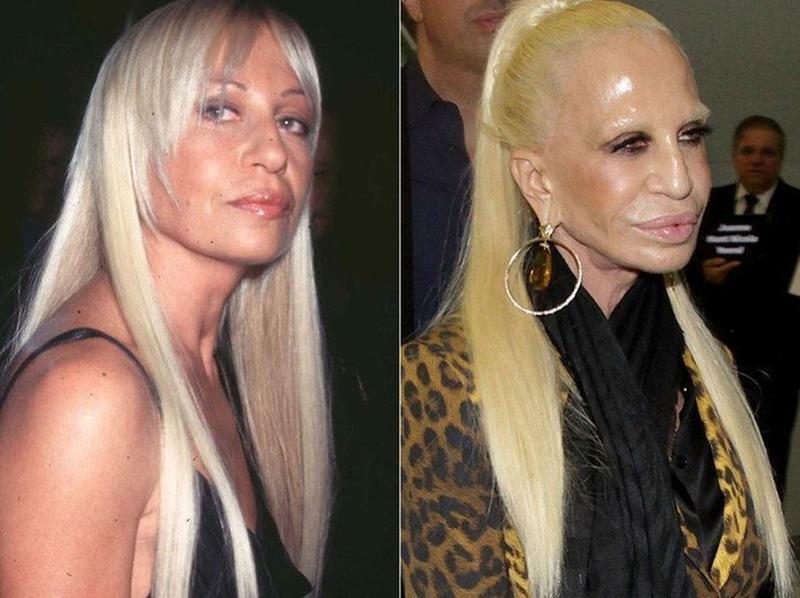 From the 90s to the early 2000s, it was clear that Donatella was using Botox to maintain a youthful appearance. But soon she turned to more invasive procedures including fillers in her lips and cheeks and lower face and neck lifts. Too much Botox has given Donatella's skin a waxy texture and lowered her eyebrows.